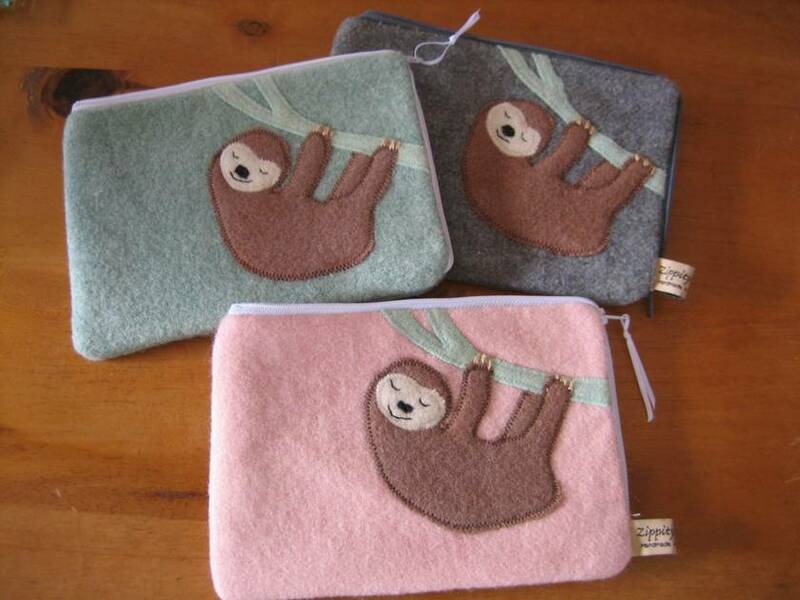 Disguise and protect your i-pad with this unique Eco Cover. 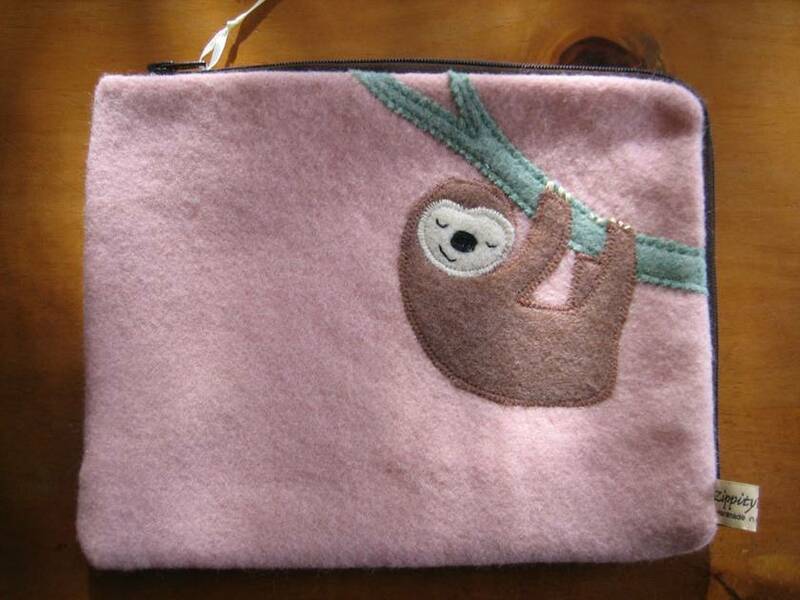 Sleepy Sloth Applique on front to make you smile everytime. Zip closure across top around side for easy access to your ipad.Beautifully finished to my high standards, fully lined in printed cotton fabric, a nice little surprise each time you open the cover. Thick blanket cushions and protect from bumps and scratches. Check out my other Geeky Gadget laptop covers for pacman, star wars, star trek, space invaders and cyber pirate. I also have geeky gadget covers for iphones, and sunglass case made form repurposed vintage blankets.